Very hot and very cold environments are surprisingly common on planet Earth. Regions of active volcanism, which produce boiling and occasionally super-heated water, are scattered all across the surface of the Earth. These can take the form of hydrothermal pools and deep-sea hydrothermal vents. Cold environments are even more common. The northern and southern polar areas, alpine regions and the deep sea are all examples. These represent the largest single extreme environments on Earth. For much of the 20th century, these environments were either considered too extreme for life to exist, or they had never been surveyed. In the latter part of the 20th century, the development of modern molecular biology methods led to the surprising discovery that microbes happily inhabit both ends of this extreme temperature scale. These microscopic organisms – mostly bacteria, fungi, archaea and viruses – can survive in boiling water and in the frozen coastal desert soils of the Antarctic continent. 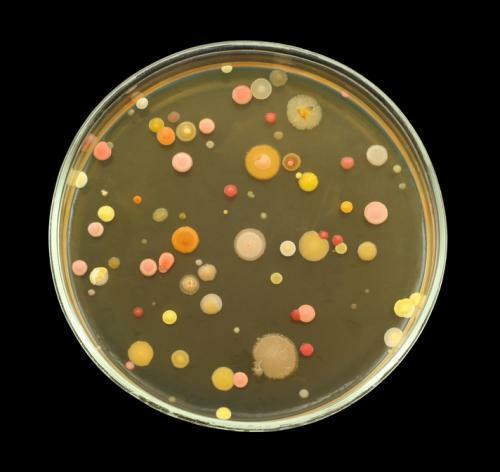 Microbes are not just invisible oddities. They play absolutely critical roles, some negative but many positive, in virtually every part of the world around us. For example, they are responsible for producing a substantial part of the world’s oxygen supply. They also supply nitrogen for crop plant growth, help to remove carbon dioxide from the atmosphere and produce most known antibiotics. But microbes living at the outer edge of biological life can do more than that. They can teach us how life has evolved, how we survive and where we might search for life outside of Earth. Many of the microbes capable of living in boiling water have been isolated. They are grown in laboratories around the world, giving researchers direct access to their cells, their molecules and their products. This makes it easier to address questions about their survival and evolution. One of the winners in the high temperature growth stakes is a microbe called Pyrococcus furiosus, the furious fire-ball. It was isolated 30 years ago from a shallow submarine hot-spring on a beach in Vulcano Island by the father of high temperature microbiology, Professor Karl Stetter. It grows best at 100℃, the boiling point of water. It is one of only a few known microbes that can grow above this temperature. We have learnt a lot from these organisms – most importantly, how evolution has redesigned proteins to withstand very high temperatures. The big breakthrough that allowed scientists to identify all the microorganisms living in any environment – as opposed to just those grown on a culture plate or in a culture flask – came in the 1980s. In less than a decade, a combination of conceptual, scientific and technical developments all came together. These included the ability to purify total environmental DNA, the development of special marker sequences that can identify different microbial species, and the advent of very fast, very cheap DNA sequencing techniques. How can these microbes survive extreme temperatures of above boiling or below freezing? Are they more complicated, and do they require the use of complex and sophisticated molecular analyses? Our research has focused for the past decade on the microbiology of the coldest and driest place on Earth: the Antarctic continent. We have found that despite the extreme climate – there is little or no sunshine for nearly six months of the year and winter temperatures drop below -50℃ – coastal desert soils harbour complex communities of microbes. The mere presence of these organisms, adapted to survive one of the harshest environments on Earth, gives us clues to evolution, adaptation and survival that can be exploited in a range of ways. What microbes inhabit the outer edges of biological life, and how can they survive and grow under such extreme conditions? What roles do they play in environmental processes? These questions, and their answers, are important. Not only to understand more of the unseen portion of the world around us, but so we can better understand the important part that they play in regulating critically important processes. These processes include oxygen generation and carbon dioxide capture on planet Earth. There is also great interest in the biotechnological applications of microbes living in these extreme environments, as well as in their production of novel and useful products like pharmaceuticals. highly temperature-tolerant enzymes that can assist in the breakdown of plant tissues for use in the production of biofuels and bioproducts. In a world of diminishing resources and a growing focus on renewable energy, extremophiles have a valuable role to play in the development of new commercial biotechnology processes.